During winter months the grass may have lifted a little - it may benefit from a light rolling if it’s dry enough. Now is the time to repair damaged areas not patched in March and apply seed, raking the area to let the seed settle. 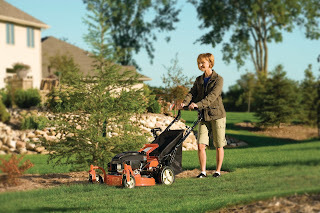 Cutting the grass will reveal any weed and moss problems and these can be treated. Lawn fertilizer and lawn weed control products are best applied in April before the weather really warms up, following the manufacturer’s instructions. If there are no weeds or moss just use fertilizer. Aerate any areas where the lawn is compacted. If you have prepared a bed for a new lawn, lightly rake it over ready for sowing. If you are laying turf this needs to be completed by the end of the month to give the grass the chance to take root.